Compliance and regulation are growing concerns for all businesses, as new legislation constantly comes into force at local, national and international levels. Waste is no exception to this rule, with many states and counties passing recycling legislation that requires businesses to change their operations, and to influence how employees and customers interact with materials on site. As your waste partner, NWA makes it our priority to ensure that your business is fully compliant with each and every new requirement. The potential ramifications for non-compliance with recycling legislation can be significant. In a recent example, New York’s Department of Sanitation (DSNY) issued hundreds of violations to businesses for not complying with their new commercial recycling rules, following the conclusion of their consultation period in August 2016. While recycling regulations are passed at an individual state, county or municipality level, the landscape of environmental legislation in the US is constantly expanding and it will not be long until similar laws are enacted in other states. To prepare your business for this inevitability, our compliance specialists keep track of all local regulations, providing you with the forewarning and operational support necessary to help you manage the complex changes that will ensure your ongoing compliance. In order to drive businesses to produce less food waste, in 2016 the state of California enacted a waste recycling law, which requires that commercial producers of organic waste send it either for composting or anaerobic digestion. The law covers all commercial and public entities, with no notable exemptions. What does this mean for companies with operations in California? Although enforcement including fines is not a requirement of the law, local jurisdictions may use their discretion to enforce fines or other mechanisms to penalize non-conforming businesses. This law is of particular importance for businesses in the food service industry, although other businesses can also be affected. With creeping thresholds, just because your locations were exempt from reach of the legislation in 2017, it doesn’t mean that they will remain so by 2019. 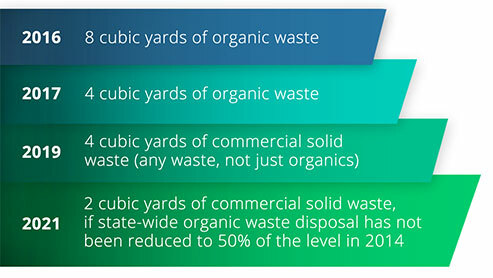 If any of your locations produce close to these quantities, NWA carries out compliance assessments to determine if they will surpass the threshold, and then works with the sites to implement organics recycling programs by the specified times. If sites are producing more organic waste than the current scope of the regulations, they will need to modify their operations in order to source-separate the organic material prior to disposal. NWA works proactively with our haulers so this waste is collected separately, ensuring that all management licenses are in order. The Mayor of New York has pledged to reduce commercial waste by 90% by 2030. In order to achieve this goal, NYC has enacted a law requiring all commercial businesses to recycle, and to ensure to the best of their ability that those recyclable materials are properly handled by their hauler. What does this mean for companies with operations in NYC? Fines for violations are calculated on a sliding scale, starting at $100 for the first offense, $200 for the second, and $400 for the third offense. NWA has worked with our customers with locations in NYC to develop a plan for how waste is collected from each building, in accordance with the City’s recycling rules. These plans include one of the following types of recycling collection: source-separated collection, co-collection, or single-stream collection. Our compliance specialists make sure each store has the appropriate signage, identifying all haulers along with their license numbers, and the materials they collect. In the case of recyclables, the signage also indicates the collection method they utilize. The majority of these states have banned laptops, computers, monitors and television sets from entering the waste stream, although others have extended the ban to include other electrical equipment. Of specific importance are cathode ray tubes (CRT), the glass video display components of computer or television monitors, which contain sufficient quantities of lead to be regulated as a hazardous waste when disposed. 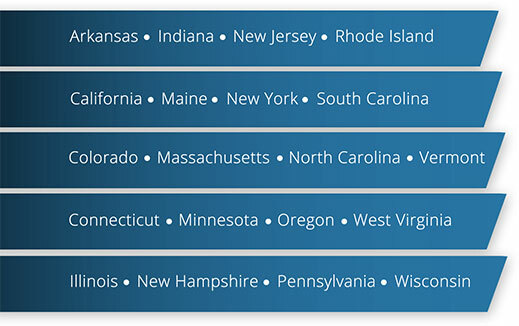 What does this mean for companies with operations in these states? States have applied one of two models to legislate e-waste recycling and disposal. The majority place a requirement on the electronic manufacturers to pay for the collection and recycling of electronics, while others including California charge the end-user an additional fee per device, to fund an e-waste recycling program. If you have a supply chain that crosses state lines, it can be challenging to understand how the laws may apply to your business. That’s why NWA has a team of compliance experts to help. Our team works with your compliance department to prevent any risk of fines. We also provide guidance to ensure that your company’s data protection procedures are aligned with the e-waste recycling requirements and that hard drives are wiped or destroyed prior to being sent for treatment. What can your organization do nationwide to remain compliant? 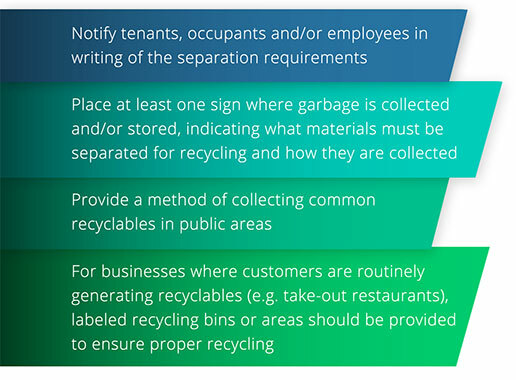 Whether or not your organization has sites located in the states detailed above, recycling legislation is constantly expanding and will soon cover most of the US. Many other states have already enacted their own recycling laws that are not covered by this white paper, and some counties and municipalities have their own specific requirements. 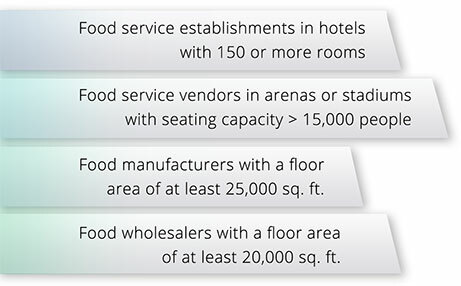 Businesses with multiple locations may therefore be affected by different regulations at state, county and municipality level. With 50 states, over 3,100 counties and over 19,000 municipalities in the US, this can represent a significant compliance challenge. To prepare your business for these new waste management requirements, NWA’s compliance analysis ensures all necessary permits are in place, insurance for environmental, general, and other liabilities is in good standing, and applicable laws are followed. This planning ensures that as new laws are executed, your operations can seamlessly transition to be compliant, without impeding business critical processes or risking penalties.